I use essential oils practically everyday in my home, and my collection is always growing. We’ve all had the flu this past week and had used up my eucalyptus essential oil and needed some more. I found this Tisserand Everyday Essential Oils Kit on Amazon for £7.84 (RRP £13.99) which is a great price. However I decided to save a further 15% and add it to my ‘subscribe and save’ for £6.66. 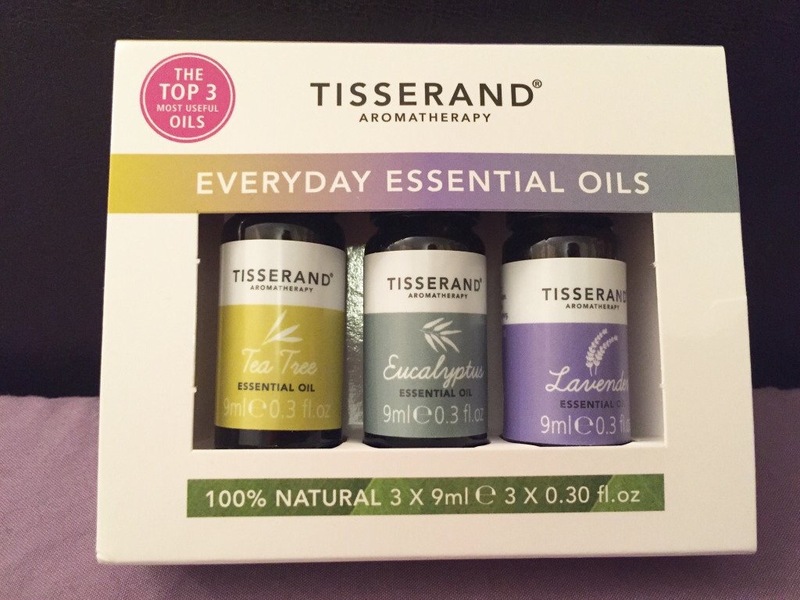 Tisserand Everyday Essential Oils Kit features their top three essential oils: Eucalyptus, Lavender and Tea Tree. These three essential oils can be used for a number of everyday ailments, making them perfect to keep in the bathroom cabinet. Use each oil individually or mix and match to create your perfect bespoke aromatherapy treatment. Tisserand sources its oils from all over the world and guarantees they are 100% pure, organic or ethically harvested. • Eucalyptus Essential Oil, 9ml: distilled from leaves grown in Spain., is strong, fresh and stimulating with a piercing aroma. • Lavender Essential Oil, 9ml: distilled from flowers grown in France, is light, clean and refreshing with a floral aroma. • Tea Tree Essential Oil, 9ml: distilled from the leaves of trees grown in Australia, is powerful and bracing with a fresh aroma. Tea tree oil is one that I always have to have at home. It is the “jack of all trades” essential oil. It is inexpensive compared to other essential oils and has many practical uses and benefits for your health and around the home. It is known for its topical antiseptic and anti-fungal treatment or infection-reducing benefits. It also has antibiotic properties and helps aid against skin infections, rashes, burns, dandruff and much more. The medicinal properties include: anti-inflammatory, antispasmodic, decongestant, deodorant, antiseptic, antibacterial, anti-viral, anti-fungal, expectorant, febrifuge, vermifuge, immune-stimulant, antibiotic, diuretic, analgesic, and cephalic (aids concentration). It cools the body in summer and protects the body in winter. Colds & Flu – Eucalyptus works as an expectorant and helps cleanse your body of toxins and harmful microorganisms that can make you feel sick. You can simply add a few drops to tissue and inhale, use in a vaporizer or humidifier or add a few drops to a bowl of hot water, place a towel over your head and inhale deeply for 5 minutes. Massage / bath oil- It can also be used in blended massage oil or diluted in your bath to help soothe tired, sore muscles, arthritis, asthma, mucous congestion, colds, headaches, sinusitis, fatigue, and muscle aches and pains. Soothe cold sores – Due to its anti-inflammatory properties applying eucalyptus oil to a cold sore may help reduce the pain and speed up the healing process. Wound Treatment – Eucalyptus oil has antimicrobial and antiseptic properties that are effective at treating wounds, burns, cuts, abrasions, sores and scrapes. It also can be made into a salve or healing ointment and put on bug bites and stings. Lavender oil is one of the most well-known essential oils in aromatherapy. It is known for its anti-inflammatory, antifungal, antidepressant, antiseptic, antibacterial, and antimicrobial properties. It also has antispasmodic, analgesic, detoxifying, hypotensive, and sedative effects. This is my favourite essential oil. The fragrance is calming, relaxing and balancing. Add a few drops to a bath with some Epsom salts to help soak away tension after a long day. Treat acne – add a few drops of lavender oil to a carrier oil and apply daily. It helps inhibits the bacteria that cause the skin infection, helps to rebalance the over-secretion of sebum, which the bacteria thrive on, and reduce scarring. To help to induce sleep, put 3 or 4 drops of lavender oil on your pillow. For babies, add 1 drop of lavender oil & geranium oil in carrier oil and massage into a babies back or a few drops in their bedtime bath. Cuts & Wounds – apply neat to cuts and wounds to soothe pain and prevent bacterial infection. Headache – massage a few drops into the forehead, temples and nape of the neck. Menstrual Cramps – massage a few drops into your lower abdomen or add a few drops of lavender oil to a hot compress and apply onto the area. This kit is great for anyone new to aromatherapy and makes a great gift. 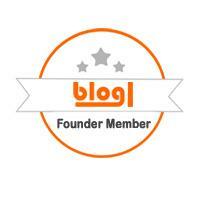 Check out Tisserand Aromatherapy for their full range of essential oils and other products. What are some of your favourite essential oils? Please feel free to comment below.